Everything is going wrong in the town of Drocknock until the new wizard arrives. He is very young, and he is lonely, and very nervous too; but he knows just where to find the right spells to stop the chicken pox epidemic and bring back the twenty cows that had disappeared. The drought is the town's most important problem, however. The new wizard needs five of his own tears to bring rain, but he is so happy in Drocknock he cannnot cry! "Peel an onion," the old wizard advises. "But," he warns, "beware, beware . . . a wizard's tears are powerful. 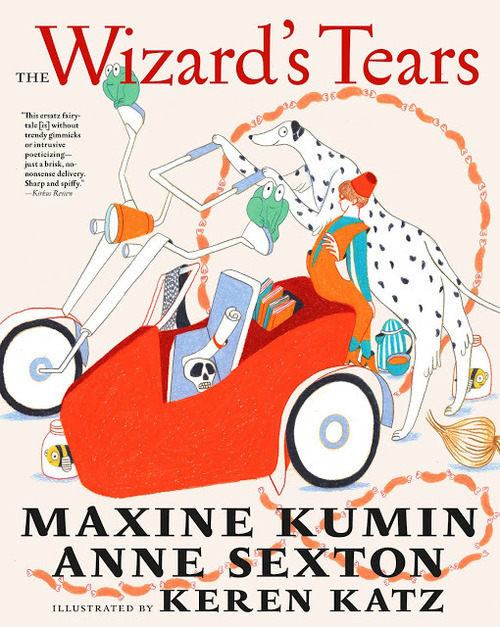 They can make strange magic. . . ."
The Wizard's Tears, first published in 1975, is moving and kind and funny in its intimate and modest way, yet strong and full of renewed life with stunning new illustrations from Keren Katz. Anne Sexton and Maxine Kumin had been friends for several years—having met at and carpooled to a Boston poetry workshop—when they began writing books together for younger readers. The creativity and versatility required for children's books offered the two poets the opportunity to experiment and play with language in new, unexpected ways, to connect world and words with humble, powerful, childlike imagery—"not unlike writing a poem where compression acts to intensify feelings," as Maxine reckoned. 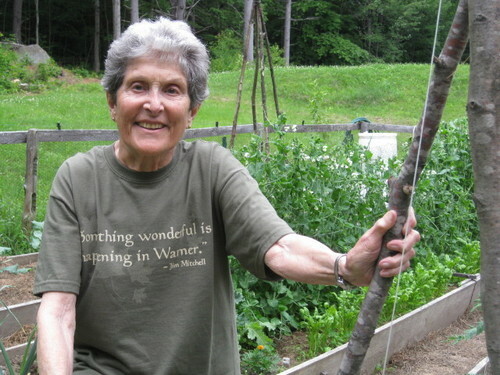 Honored as America's poet laureate from 1981 to 1982, Maxine Kumin was the recipient of the Pulitzer Prize and the Los Angeles Times Book Prize as well as the Ruth Lilly Poetry Prize and an American Academy and Institute of Arts and Letters Award. In addition to her seventeen poetry collections, novels, and essay collections for adults, she was the author of many children's books including Oh, Harry! (illustrated by Barry Moser) and Mites to Mastodons (illustrated by Pam Zagarenski). Seven Stories Press is re-releasing four out-of-print children’s books for kids ages 5 to 8 that Kumin co-wrote with Anne Sexton: Eggs of Things and More Eggs of Things (illustrated by Leonard Shortall) and Joey and the Birthday Present and The Wizard's Tears (illustrated by Evaline Ness). Before her death in early 2014, she and her husband lived on a farm in the Mink Hills of Warner, New Hampshire, for 40 years, where they raised horses and enjoyed the companionship of several rescued dogs.